Our global forwarder e-database is now over 120,000 freight forwarders that we can break down into key regions for you. 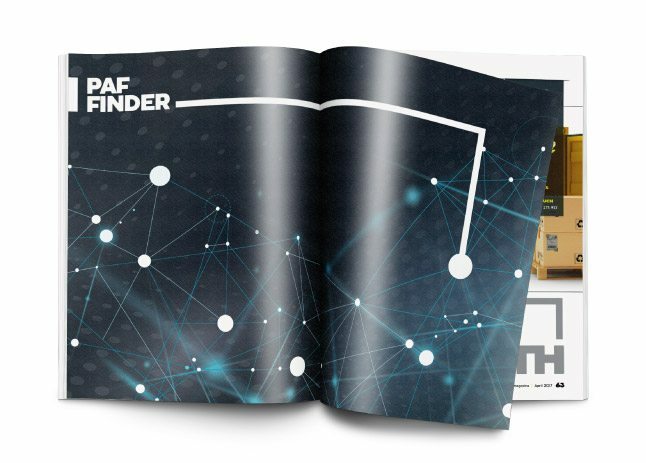 PAF Finder is a new section being added to FORWARDER magazine where clients can talk about their Partners, Agents and Franchise (PAF) agreements. It will include promotional editorial and a section where you can advertise for a new partner, agent or franchise. Due to our extensive international forwarder email database we highly recommend that if you are trying to promote a franchise or find a new agent or partner, you tie this in with an eShot campaign in the country where you are seeking substantial growth.